Consider this your summer beauty hack list. From sunburn to sweat proof makeup, to perfect beach-y waves, I’ve got it all! Accessorise right: Keep the sun out of your face with the right hat– it must have a cotton lining, and a wide brim. Forever 21 has a brown fedora that perfectly serves the purpose. And the weaved style makes it easy to wear with any summer outfits. Buy it here. Quick messy bun: I hate having long hair sometimes. My hair ends up as a mess of fly-aways, and always sticks to the back of my neck (which is the worst thing to happen on a humid day!). I personally love putting my braid up into a bun because I don’t have to bother with it for the rest of the day. But it isn’t the best look, to be honest. And it is kind of boring. That’s why I love this tutorial, and I cannot wait to try it out. Braided bun: On the days where you have a little time, I recommend this hairstyle. It looks chic, yet relaxed. Beach waves: If you’re into goddess-like waves without going to the beach, try this DIY beach waves hair styling spray. Full instructions here. Incorporating sunscreen: Until last summer, I had never worn sunscreen on a daily basis. I still don’t. But when I did, after a month, there was a marked improvement in my dark spots, and of course, my tanning reduced. The problem is that sunscreen takes time to sink into your skin, and is also heavy, and creates streaks. I cannot emphasise ENOUGH about the importance of sunscreen though. It is the most important part of your skin routine. I would recommend wearing sunscreen right after your moisturiser sets in, and before you wear makeup. It seems like a tedious step but it’s crucial to ensure your skin remains healthy, and free from damage. Of course, you also need to use it all over the body parts that are exposed to sun (tan lines are the worst). And you might have to get ready half an hour in advance to ensure the sunscreen sets in, but trust me, healthy skin is a boon, and this step ensures it. For the face, I’ve heard only good things about the Lotus Safe Sun 3-in-1 Matte Look sunscreen, priced at Rs. 225 on Amazon. Body, Neutrogena Ultra Sheer Dry-Touch is very good, currently Rs. 485 on Amazon. I would not recommend using any tinted moisturiser or BB cream instead of a sunscreen. Use it with sunscreen as a base. Or use a moisturiser with a built-in sunscreen. Months of hiding legs behind jeans mean that your legs need a little TLC before you embrace wearing shorts. Pre-shave, I would suggest this exfoliating DIY scrub. 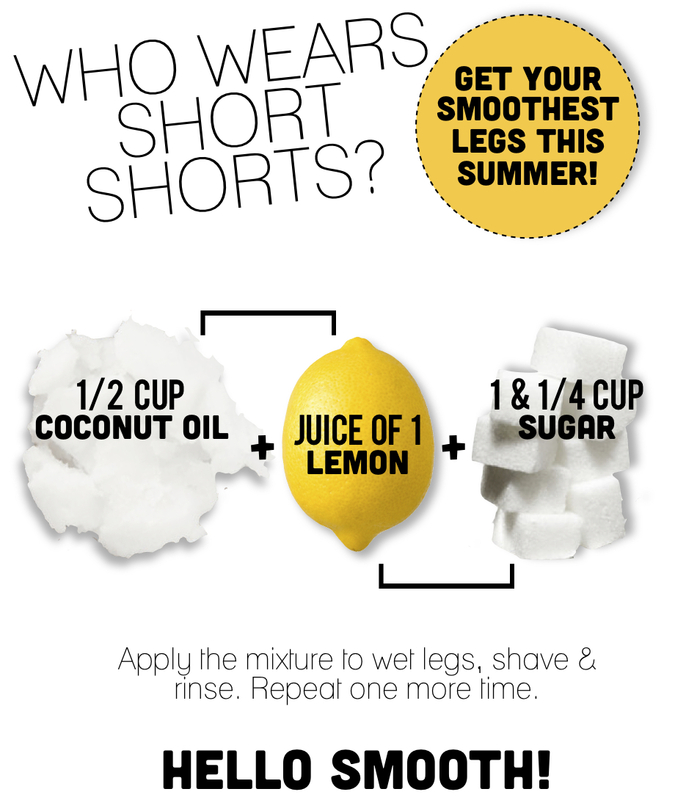 Coconut oil provides moisture, sugar gets rid of dead skin, and the lemon lightens your legs. Scaly elbows be gone! I have my eye on these shorts though. Check them out here. Summer-proof makeup: The problem we have to address with makeup in summer is sweat-proofing it. In a humid city like Chennai, the problem is exacerbated. But the solutions are simple. All you need are a few swaps. 1. Liquid eyeliner– can’t give up your signature flick? Use a pencil liner. And use brown instead of black for a lighter, and less harsh take on eyes. Lakme Eyeconic pencil in brown is a good choice for an eye pencil that will last all day. Line your upper lash line, and the outside of your lower waterline to make eyes look bigger. Buy here. 2. Lipstick– Who can bother with lipstick on a hot summer morning? Lip stains are an easy way to get the same pigmentation but with lesser effort. Revlon Just Bitten Kissable Lip Balm Stain has received rave reviews. Buy the shade “Romantic” (pictured below) on Flipkart, or explore for more colours. 3. Liquid foundation– Foundation can look artificial in the summer, and adds an extra layer to your skin, which can make you sweat more. Use a powder with SPF (any extra protection is good protection!). 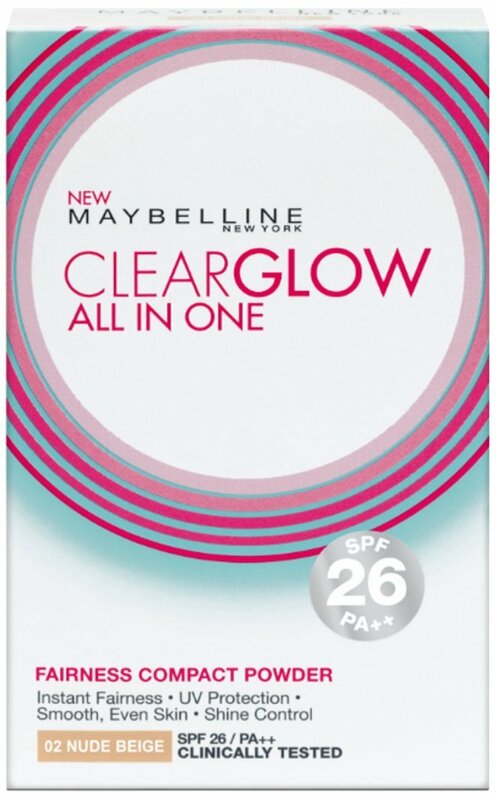 Maybelline Clear Glow is wonderful. Buy it here. 4. Summer scents– Swap out your heavier, spicy fragrances for a fresh, citrus spray, heralding the start of summer. The Body Shop fragrances are a great pick for a scent that will last all day. Explore the entire range here. My pick? The Satsuma Body Mist, with a hit of orange to kick-start your day. 5. Blush– Use cream/tints instead of powder. I’m considering skipping other beauty products, and sticking to blush this summer. Blush is a product usually overlooked by the Indian market because we think it looks artificial. But the right colour can do wonders, and give you a fresh-faced look without looking over-the-top. 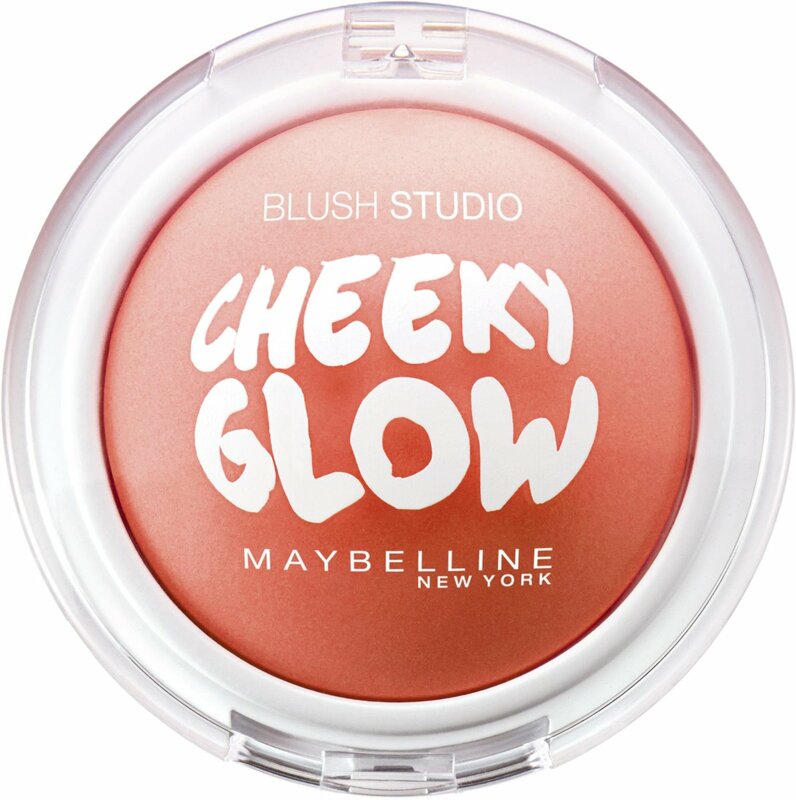 Maybelline Cheeky Glow Blush is not a cream formula, but is one of the best on the market. The Creamy Cinnamon shade is versatile, and easy to wear. Buy it here. Treating damaged hair: Summer heralds the start of frizzy, dry, and damaged hair. We forget to take care of it. But do not fear! Coconut oil is here to save the day! It serves so many purposes but is often overlooked. But its effects on hair cannot be undermined. An overnight treatment of covering your hair with coconut oil, and washing it off the next day will make your hair shinier, smoother, and softer. It will also work wonders on dry, brittle ends. 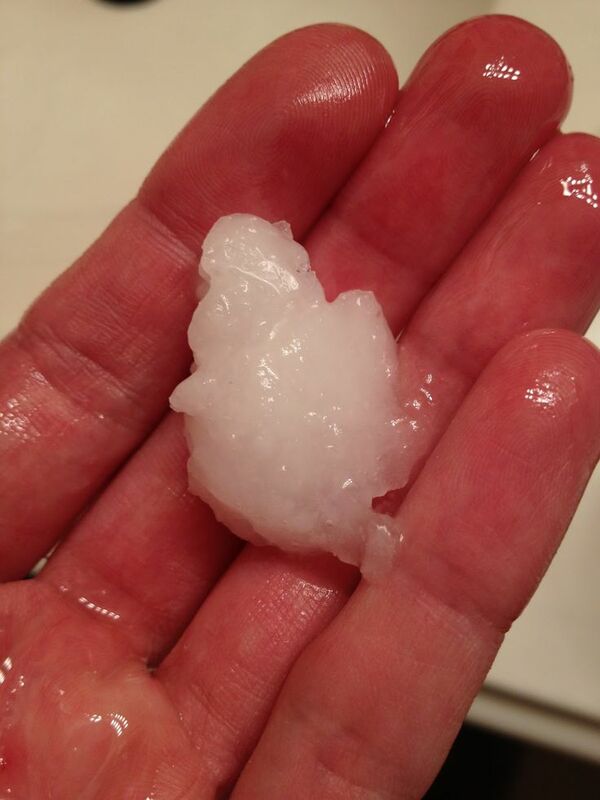 Use cold-pressed, extra virgin coconut oil if you can get your hands on it, and coat your hair from root to tip. Leave overnight (with a shower cap if you want to protect your pillowcase). Treating sunburn: Fresh aloe vera when applied directly on sun burn is said to be a very effective treatment. We grow aloe at home, and it’s very easy to get your hands on some. If you’re allergic, try using a cool compress, cornstarch, among other things. Further DIY remedies for sunburn here. Hope you liked this list of summer hacks! Share your favourite tricks for surviving the summer below! Also. Khadi’s cucumber mint Facial spray. Stick it in the refrigerator. It’s been giving me life these past few weeks.